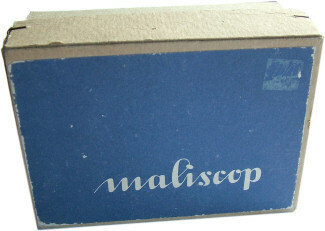 Two examples of an earlier Maliscop style of viewer. These simple viewers were made from plastic and took slides similar to the Realist format. The were manufactured from 1955 by Heinrich Malinski. 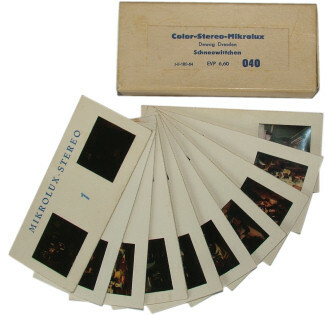 The slides were 43mm x 100mm and made from cardboard.